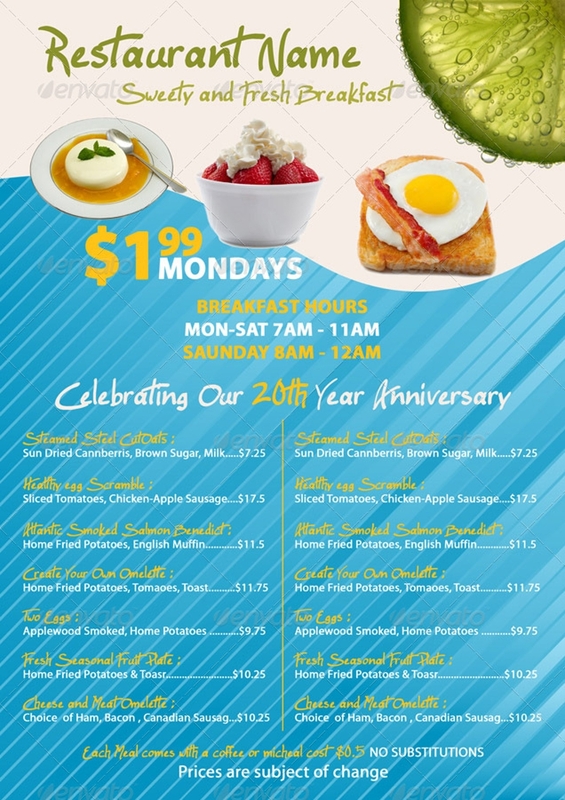 A breakfast restaurant may offer various cuisines aside from plain eggs, two pieces of bacon, and a garlic rice. For a restaurant to showcase what they offer for breakfast, developing a breakfast menu would be the best method it can resort to. 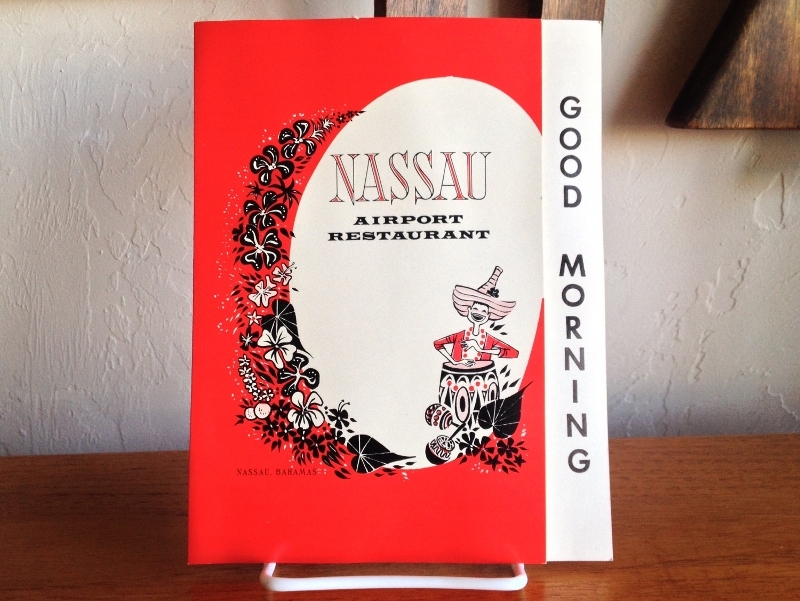 Restaurant menus are not merely a collection of scrambled text, Google-d images, and random designs. They are far more important than that because they affect business operations. 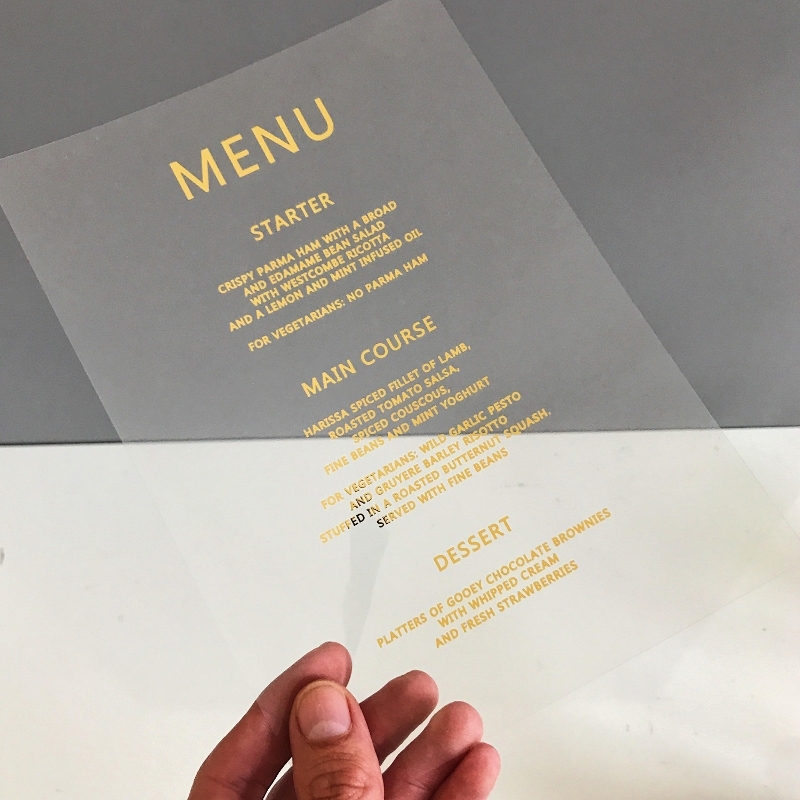 If you wish to understand restaurant menus’ importance to restaurant businesses, a section of this article can offer you the enlightenment you need. 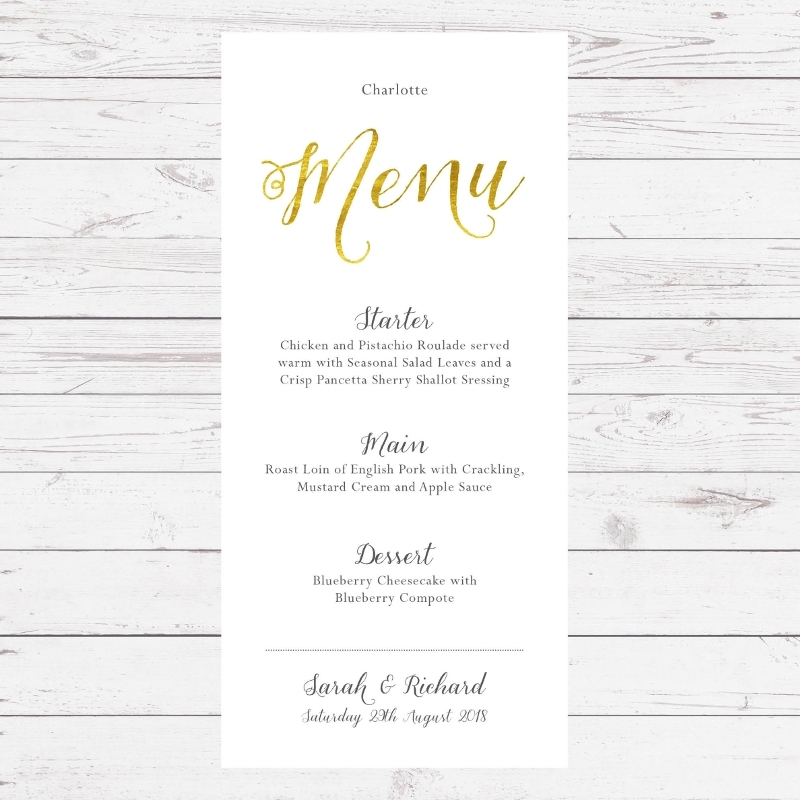 You may also check out our downloadable examples of breakfast modern menus in this article which you may use as your guide should you decide to create one. 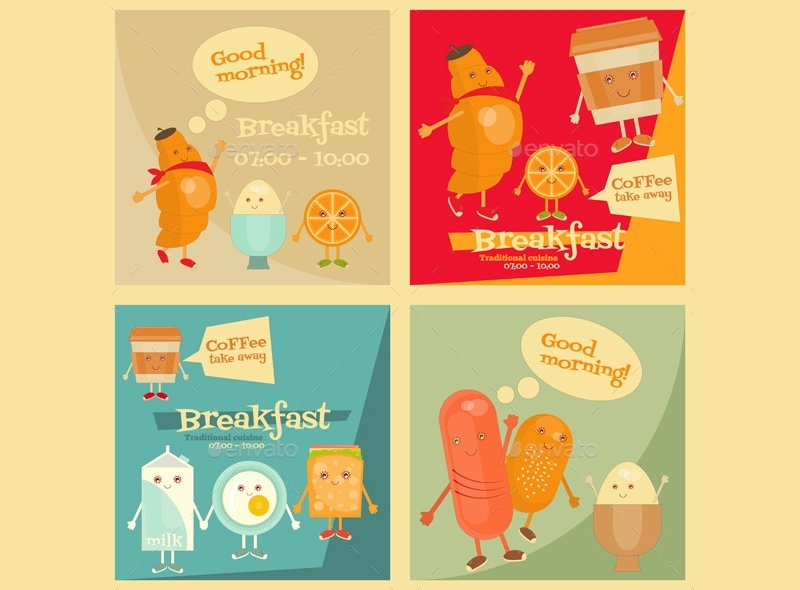 What is the Significance of Breakfast Menu? Has it ever occurred to you how infuriating things could get if you’re famished in the early hours of the day and your mind can’t decide which restaurant serves the best breakfast dishes? Well, as a consumer and an entrepreneur, you probably have some shares of such an experience and can’t control but to naturally roll your eyes in awful contempt as you recall it, right? So, what was the main factor that made you become decisive about choosing the restaurant? The restaurant menu! A well-crafted restaurant’s menu, in general, is a way to display company values and, too, the way their departments operate. Judging from how a restaurant’s menu is crafted, an impression from your customers can already take form. You can have the best employees in your restaurant who are all smiles and display their full commitment to work, but putting up a breakfast menu that prospective consumers find contemptible can certainly discourage them from enjoying the good service of your employees. A menu sample is not just a selection of restaurant’s palatable offers but also a marketing approach. It is common for restaurants today to display their menu card outside to compel customers to dine on it. 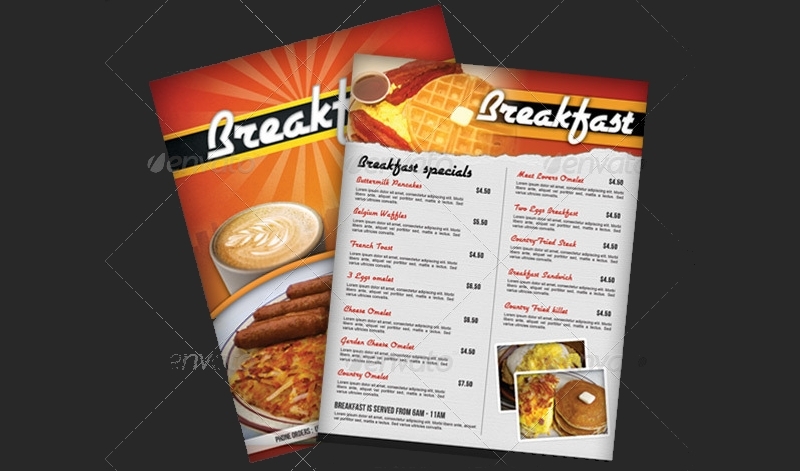 Although it is not common in some countries to distribute restaurant menus in public, others upload them on their company website. Considering that we are living in the world where digital platforms have greatly affected various lifestyles, there’s a greater chance your sphere of influence increases as your website is flooded with traffic from customers who find your menu appealing. As a marketing tool, marketers have to see to it that the menu is not offbeat from the restaurant’s theme. Instead, it must be the best representation of the wholeness of your restaurant. Hire a photographer. Instead of getting free images from the internet, hire a photographer to capture the actual plating of your breakfast dishes. This increases the conviction of your menu, luring your targets effectively. It might be more costly than acquiring images you see in free websites, but here’s the catch: When a customer has seen the images you got from a website that offers free photos, that would be a fatal blow to the reputation of your restaurant. You can’t afford to jeopardize your reputation because the effects are grave that may force your restaurant into bankruptcy should cases come to worst.You may also see the examples of art deco menu. You, the content writer, and the graphic artist must communicate regularly. For the team to function well proper communication must be practiced. By means of coordinating with your graphic artist and content writer, visualizing the expected output becomes clearer than vague. Refer to other breakfast menus and our samples. 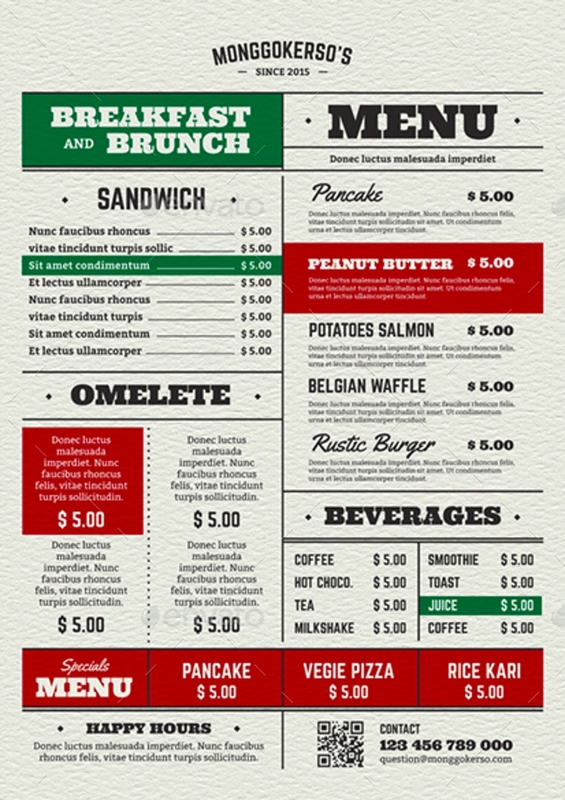 Looking at other restaurant’s breakfast menu can grant you with ideas. 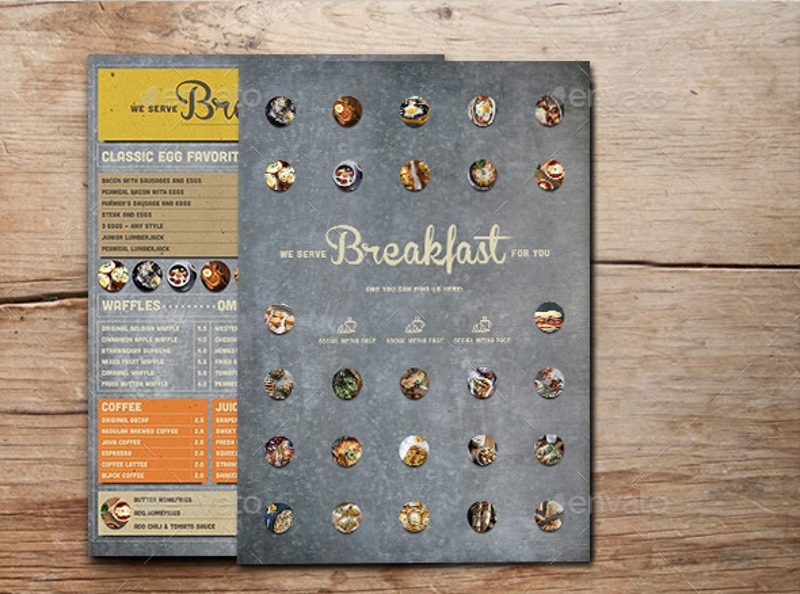 Aside from that, you can out-edge your business competitors with ease while keeping the elements of your breakfast menu focused still on the theme of your restaurant.You may also see the Chalkboard Menu Examples. Balance the elements. In the process of developing the breakfast menu, an element of it must not overpower other elements. A mistake that is commonly committed by graphic artists is overdesigning the menu, which makes the content incomprehensible. The key to attaining a neat output is to not overdo it. Output must relate to the theme of the restaurant. 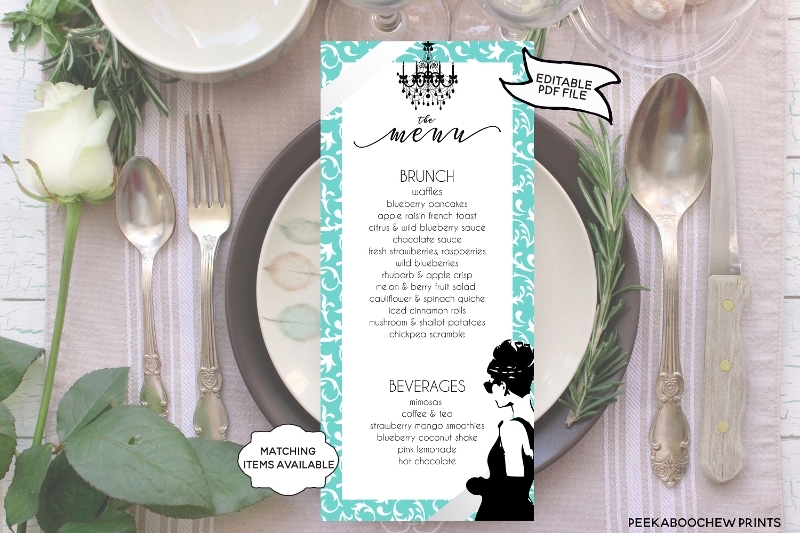 The menu must be designed according to the theme of the restaurant. If ever you come up with a design that does not speak of your restaurant values, this can create confusion for your customers. 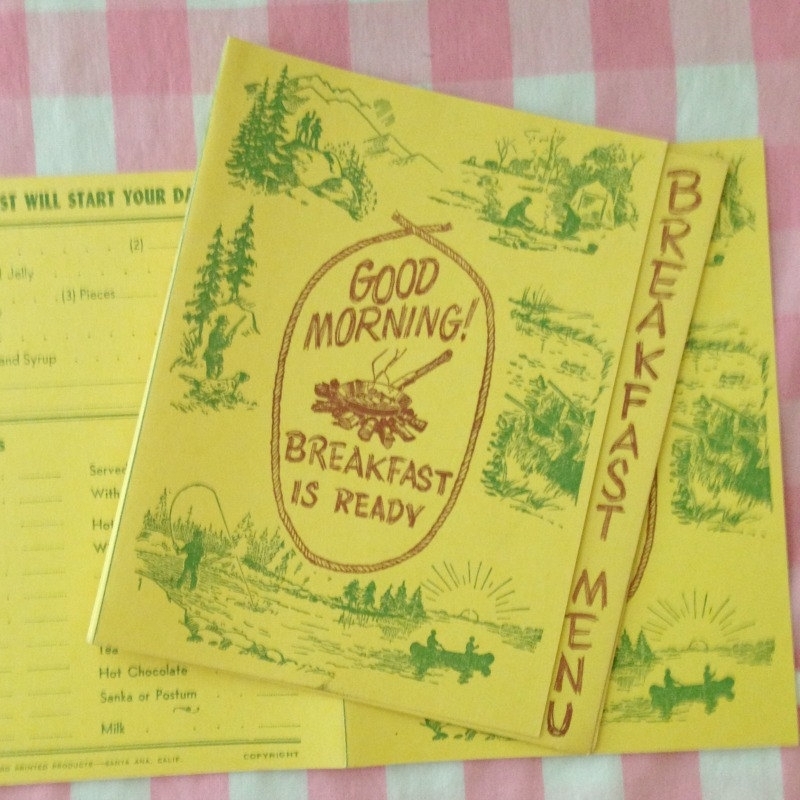 Specifically, a breakfast menu must only consist of breakfast dishes. Adding dishes that are obviously for lunch and dinner deducts your points of your menu’s conviction. Also, the 20s themed restaurant must possess that vintage feel to radiate a heightened ambiance of the jazz age.You may also see the typography menu examples. Knowing the importance and committing the tips in this article can surely hasten the production of your breakfast menu that appeals greatly to your targeted audience. In the process of developing your breakfast menu, never lose sight of its goal– to entice your customers and revisit your restaurant if they fancy experiencing another delightful breakfast.